Abstract: The long tail phenomena appears when a small number of objects/words/classes are very frequent and thus easy to model, while many many more are rare and thus hard to model. this has always been a problem in machine learning. We start by explaining why representation sharing in general, and embedding approaches in particular, can help to represent tail objects. Several embedding approaches are presented, in increasing levels of complexity, to show how to tackle the long tail problem, from rare classes to unseen classes in image classification (the so-called zero-shot setting). Finally, we present our latest results on image captioning, which can be seen as an ultimate rare class problem since each image is attributed to a novel, yet structured, class in the form of a meaningful descriptive sentence. Abstract: Over the past 10 years we have seen worldwide an immense growth of research and development into companion robots. Those are robots that fulfil particular tasks, but do so in a socially acceptable manner. The companionship aspect reflects the repeated and long-term nature of such interactions, and the potential of people to form relationships with such robots, e.g. as friendly assistants. A number of companion and assistant robots have been entering the market, two of the latest examples are Aldebaran’s Pepper robot, or Jibo (Cynthia Breazeal). Companion robots are more and more targeting particular application areas, e.g. as home assistants or therapeutic tools. Research into companion robots needs to address many fundamental research problems concerning perception, cognition, action and learning, but regardless how sophisticated our robotic systems may be, the potential users need to be taken into account from the early stages of development. The talk will emphasize the need for a highly user-centred approach towards design, development and evaluation of companion robots. An important challenge is to evaluate robots in realistic and long-term scenarios, in order to capture as closely as possible those key aspects that will play a role when using such robots in the real world. In order to illustrate these points, my the talk will give examples of interaction studies that my research team has been involved in. This includes studies into how people perceive robots’ non-verbal cues, creating and evaluationg realistic scenarios for home companion robots using narrative framing, and verbal and tactile interaction of children with the therapeutic and social robot Kaspar. The talk will highlight the issues we encounters when we proceeded from laboratory-based experiments and prototypes to real-world applications. Bio: Kerstin Dautenhahn, Senior Member IEEE, is Professor in the School of Computer Science at University of Hertfordshire in U.K. She received her Ph.D. degree from the Biological Cybernetics Department of the University of Bielefeld, Germany, in 1993, and has published more than 300 research articles. Prof. Dautenhahn has edited several books and frequently gives invited keynote lectures at international meetings. She has been Principal Investigator of her research team in several European and nationally funded projects. Prof. Dautenhahn is Founding Editor in Chief of the journal Interaction Studies: Social Behaviour and Communication in Biological and Artificial Systems, as well as Associate Editor of Adaptive Behaviour (Sage Publications), the International Journal of Social Robotics (Springer), IEEE Transactions on Affective Computing and the IEEE Transactions on Autonomous Mental Development. She is also on the Advisory Board of the journal AI & Society. Abstract: Our community has long pursued principles and methods for enabling fluid and effortless collaborations between people and computing systems. Forging deep connections between people and machines has come into focus over the last 25 years as a grand challenge at the intersection of artificial intelligence, human-computer interaction, and cognitive psychology. I will review experiences and directions with leveraging advances in perception, learning, and reasoning in pursuit of our shared dreams. 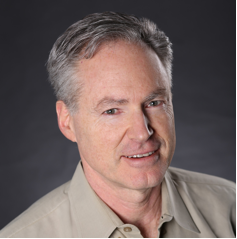 Bio: Eric Horvitz is a Technical Fellow at Microsoft and the Managing Director of the Microsoft Research lab at Redmond. He has been pursuing research in artificial intelligence and multimodal interaction, focusing on principles and applications of machine perception, inference, and decision making. He has been elected fellow of the National Academy of Engineering NAE), ACM, AAAI, and of the American Academy of Arts and Sciences. He was inducted into the CHI Academy for contributions including "principles of mixed-initiative interaction for interleaving automated services with user actions, methods for predicting intentions and goals of users, and advances with spoken dialog systems." 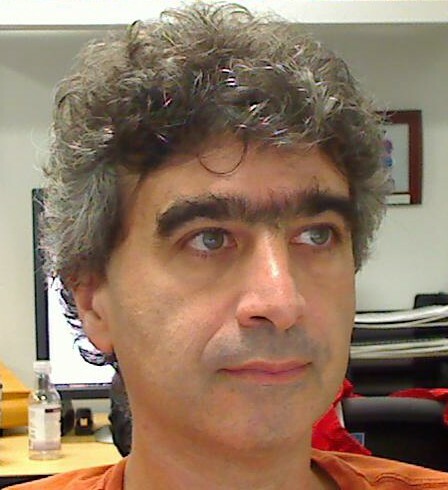 In 2015, he was awarded the AAAI Feigenbaum Prize "for contributions in computational models of perception, reflection and action, and their applications." He received his Ph.D. and M.D. degrees from Stanford University. More information can be found at http://research.microsoft.com/~horvitz/.